We're big fans of Electrolux's concepts, which include vacuum shoes, a flatshare fridge and waterless washing machines. 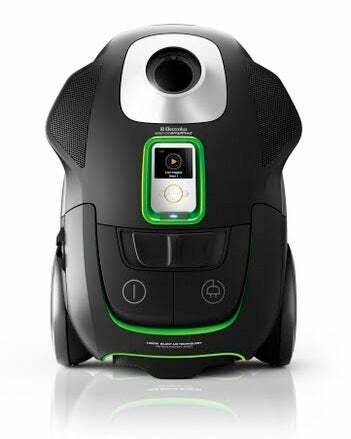 Thanks to Electrolux's brilliant robot cleaner I haven't vacuumed properly for a year now, but could be cajoled into using this iPod-packing model. "One of the results is that vacuuming to music gets the job done faster, with less stress, and it can even result in some more calories burned."